Want to create a cozy autumn vibe? 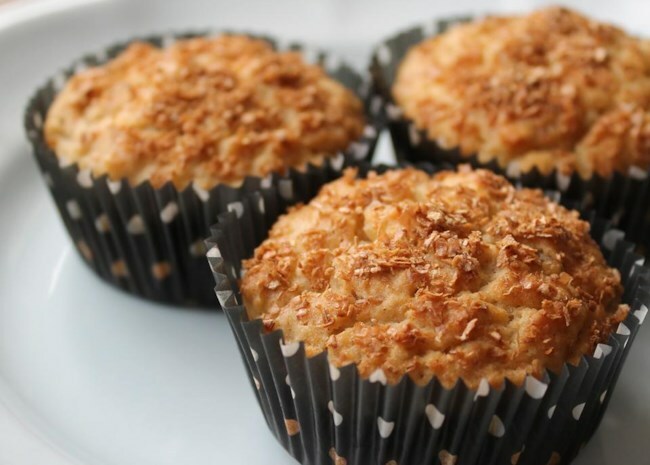 Fill your home with the comforting aroma of freshly baked muffins warm from the oven. And not just any muffins. We're talking about muffins that bring you all the flavors you associate with fall: pumpkin, apple, pear, ginger, cinnamon, nuts, chocolate, butterscotch...you get the picture. Serve with a steaming hot drink, and you've got autumn chill on the run. More: Explore our entire collection of muffin recipes. They're easier to make than baking a cake. You can tuck them into a tote or backpack for easy breakfasts or snacks. They freeze and thaw easily. 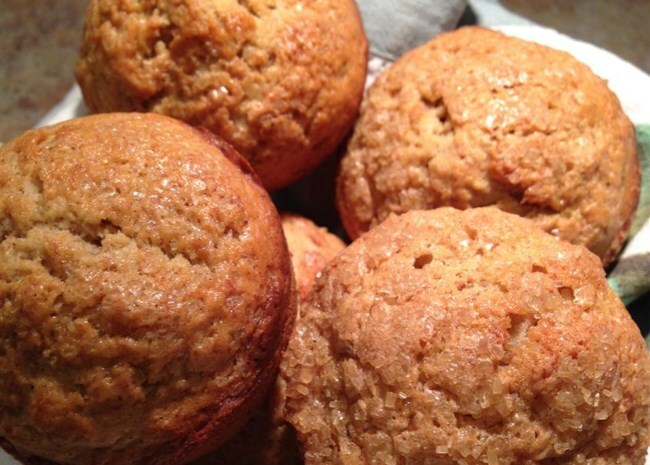 More: Get simple tips to make bakery-style muffins from scratch. 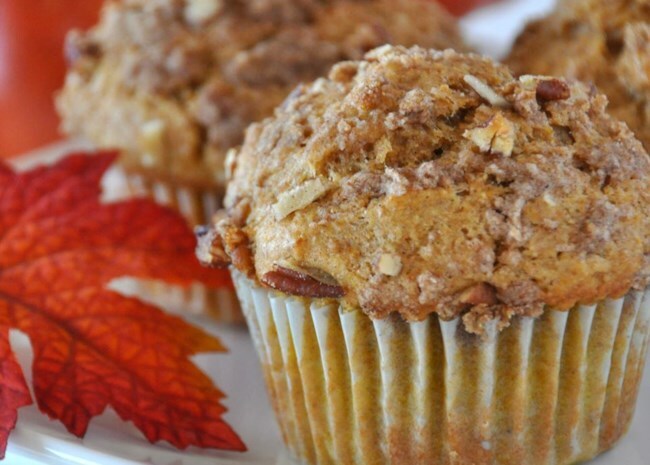 Here are 15 ways to fill your autumn with all the muffin deliciousness you deserve. 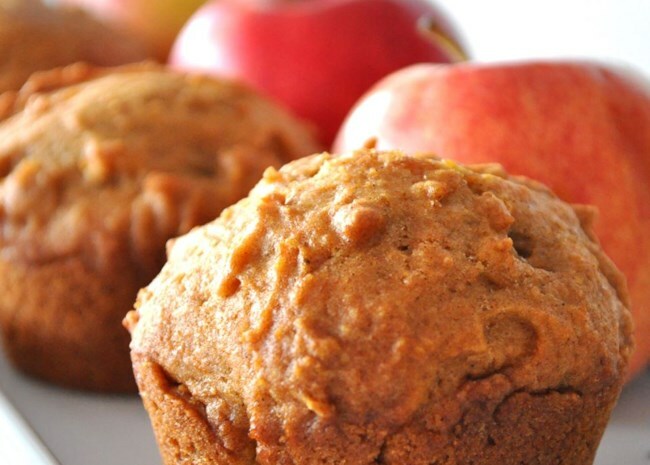 Let's get this muffin party started with a top-rated recipe that combines crisp fall apples with pumpkin and spice and everything nice. Recipe creator JES55 says, "A simple streusel topping gives them a little something extra." Joyful Heart calls them "Bed & Breakfast quality - moist, tender and sweet!" She also adds, "If you do not have the 1 tablespoon of pumpkin pie spice, substitute: 1 1/2 t. cinnamon, 3/4 t. ginger, scant 1/2 t. allspice, scant 1/2 t. nutmeg." Or you can blend your own homemade pumpkin pie spice. 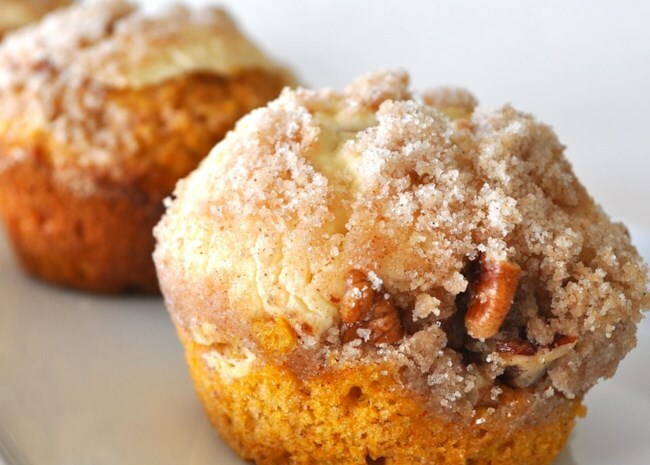 These mildly spicy pumpkin muffins offer three kinds of bliss with every bite —the muffin, the cream cheese layer, and the crumbly streusel topping. GR8TSCOTT has this helpful tip for working with the cream cheese: "When you soften the cream cheese, do not beat until creamy. It should still be fairly stiff when you add the remaining ingredients. Also, don't mix it thoroughly. If you still have little "globs" of cream cheese floating around, it's perfect. It should be the consistency of a thick sour cream." Ripe seasonal pears add texture and moisture to these oatmeal muffins topped with ginger and oat bran. When Pamela Joy made hers, she put ground ginger into the batter and added chopped crystalized ginger to the topping for the win. 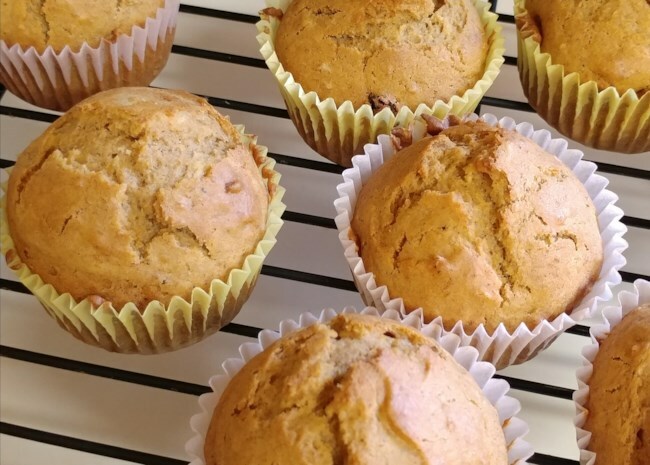 Banana muffins are great any time of year, but when you add a hit of coffee and a lot of chocolate chips to the mix, it just bumps up that fall comfort food factor. The recipe calls for margarine, but you can use butter instead (of course). Mama Slone says, "Delicious! I'm not even a big coffee fan but, the coffee flavor really enhances the taste of the chocolate chips." Apples and cinnamon work their magic in these little beauties that Jillian describes as, "Like eating apple pie in a muffin! What a perfect name for these moist, delicious, nicely spiced treats." 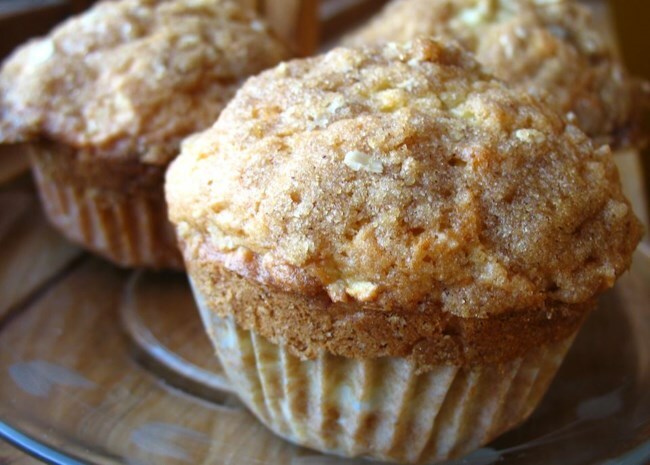 Some reviewers added more apples or more spices to the mix, but naples34102 said, "Ohhhhh my...I am so happy to be one of the lucky few who chose to make these muffins as Jan (the submitter) intended, and refrained from any modifications, especially adding all kinds of distracting spices." 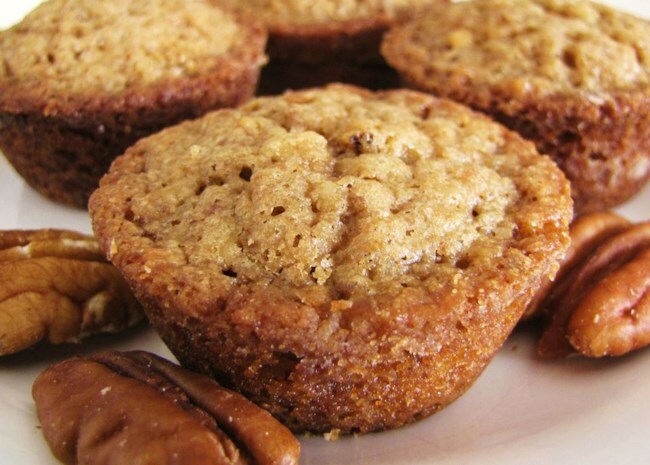 Packed with nuts and seeds and oats, these richly textured muffins are "definitely more like a breakfast muffin than a 'treat' muffin," says THUESEN. Perfect for breakfasts on the run, we say. scarlet begonia says her kids totally love them, too. This straightforward muffin recipe with apples and a streusel topping will win you with its simplicity. Many reviewers, like MAAUSTIN, added cinnamon and nutmeg to spice up the batter, and loved the results. Recipe creator prissycat says, "It's hard to believe there are only five ingredients in these wonderful little muffins!" DCOOKTN raves, "This recipe is easy and fantastic! I serve it warm with a little scoop of vanilla ice cream and everyone loves it!" 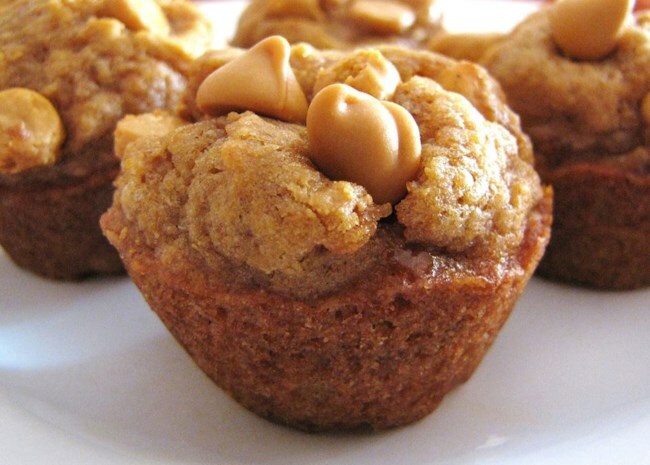 Another simple pumpkin muffin recipe, but this one is pumped up with chocolate chips and pumpkin pie spices. How good are they? Natalie G. says, "I made these and they were a big hit! The people at the party I took them to claimed I had put an addictive substance in them :-)" What she put in them was brown sugar instead of white and 1 cup of pumpkin instead of 3/4 cup. Addiction comes in many forms. Recipe creator Julie says, "This is a great recipe for those times when you have half a can of pumpkin left over." wholewheatbaker raves, "These are sooooo good. My 1 year old and 10 year old both loved them. I love that this recipe is 100% whole wheat and still very moist." Chef John made these instead of sweet potato pie (which, he says, he's not that fond of) and he was thrilled with the results. Recipe reviewer Miriam Prell loved them, too, saying, "Oh, wow! These were simply delicious: Moist, crunchy and just slightly sweet, the subtle flavors blended beautifully. Within hours of making 24 of them, they were gone. " Wondering what else to do with butternut squash (or any other winter squash for that matter)? Try these muffins. 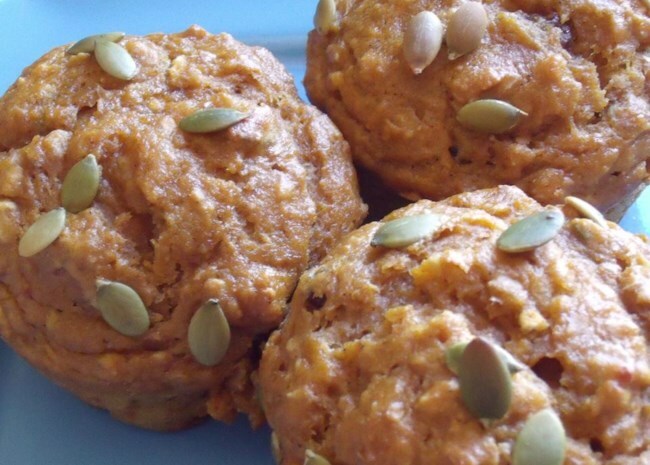 Recipe creator cezeigler says, "Similar to pumpkin muffins, these are a great way to use up butternut squash and are not too high in sugar. Even my picky husband enjoys these! Feel free to play around with the spice amounts to your liking." And you know our home cooks will do just that. 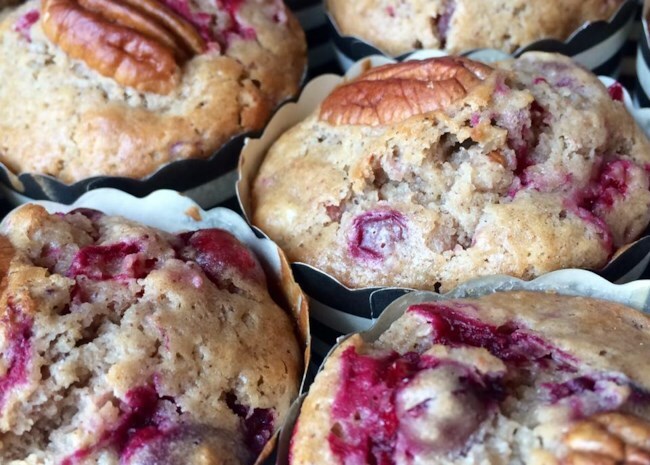 Apples, cranberries, figs, and nuts make these muffins worthy of their name. Some reviewers used dried cranberries instead of fresh, and raisins or dates instead of figs, and they even changed up the nuts in the recipe. 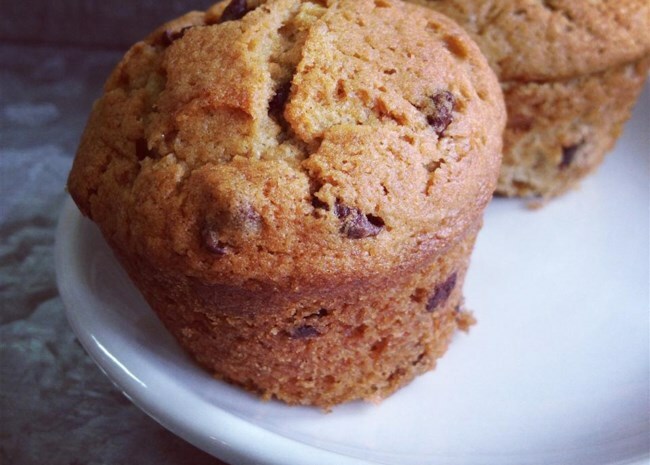 Allrecipes community member amykat says, "This is such a great muffin recipe - not too sweet, super moist. I actually owned a cafe for 4 years and built my 'base' muffin recipe from this one, taking all flavors out and just recreating it with new flavor combinations everytime!" Megan, who created this recipe, says they're so good "you won't want to share!" That didn't stop Jodibean, who raves, "Absolutely wonderful. Doubled the batch and did not change a thing. They were gone in a flash, I don't think I can ever make a single batch of these!" "I put this recipe together to use up some bananas and persimmon that were very very ripe! As soon as they began to bake, my daughter said she could smell autumn," says recipe creator Anna Silvani-Morrison. And isn't that what it's all about? And as for the taste, Gwen says, "Husband loved them. Will make again." Treat yourself to our entire collection of muffin recipes.